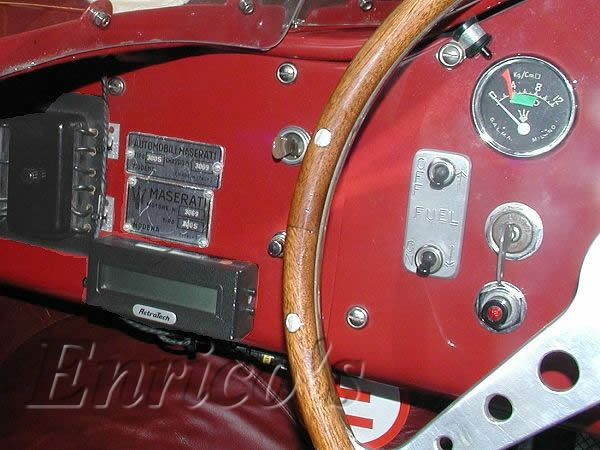 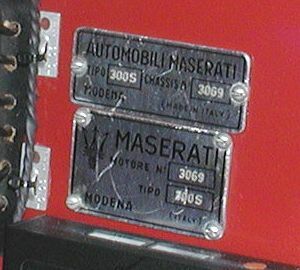 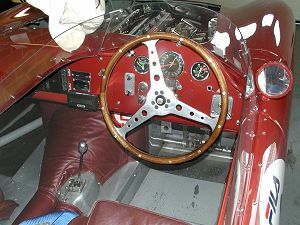 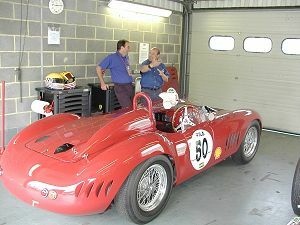 The identification plate of the Tipo 300S. 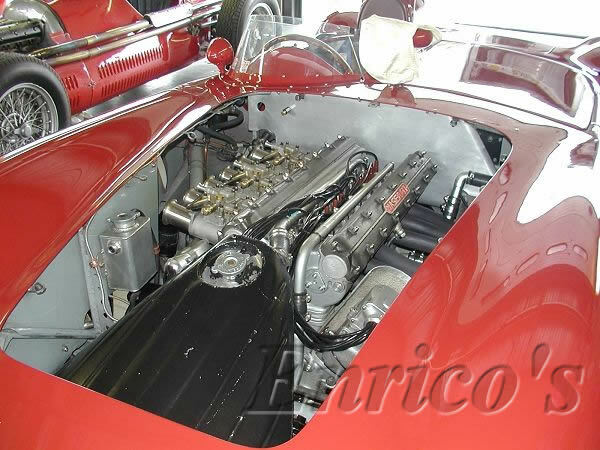 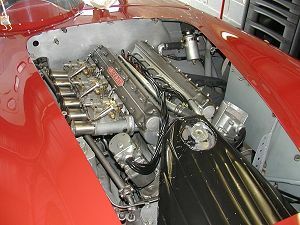 The 3-litre six cylinder in line engine with its three twin-choke 42 DCO3 Weber carburettors. The 2992.5 cc engine of the 300S developed 245 bhp at 6200 rpm. 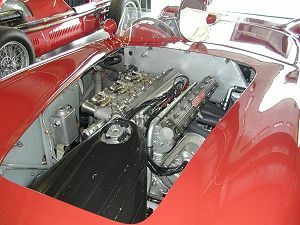 The radiator grille (note the neat aperture for the starting handle. 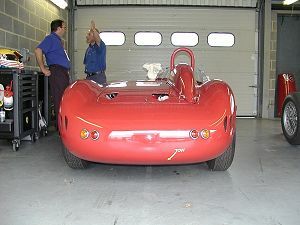 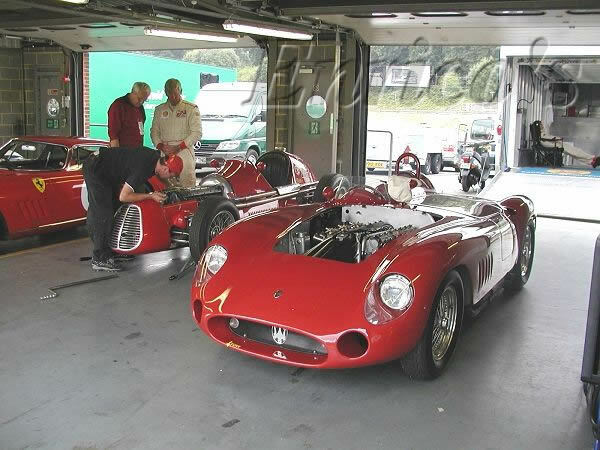 The 300S had a dry weight of 780 kg and had a top speed of 290 kph. 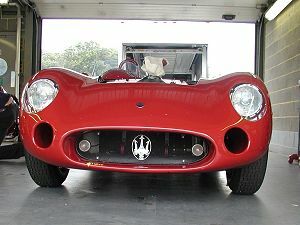 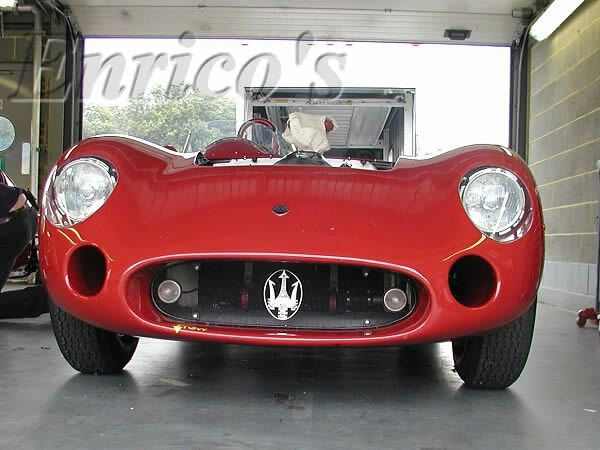 #3069 was built in 1956 and is listed as a vettura ufficiale (factory car).